How Will Your Children Experience Halloween This Year? I’m passed the time now when I have to plan what my children do at Halloween. I’ve gone through the Brownie’s parties, the duck apple at a friend’s house and the “trick or treating” around the neighbourhood followed by a “sleepover” but I know that many of our readers are still there. When they’re younger there’s often the demand for more and more expensive fancy dress (what happened to painted boxes and made over clothes?) and as they get older there’s the demands to let them out with friends “trick or treating” without supervision. As Halloween is in half term holidays for many of you why not come away for 1 night or longer and enjoy one of the local organised Halloween events. Both you and your children are sure to have an exciting time. Talyllyn Halloween Train – 30th, 31st October From Tywyn, includes train ride, activities and meal. Another one that sells out! Llechwedd Slate Caverns – 31st October. Halloween fancy dress kids disco in the café £2.50 per child, with refreshments etc on sale, and prizes for the best costume ages 0-5 and 6 – 11. King Arthur’s Labyrinth – 31st October – Ghost Tours! Greenwood Forest Park – 19th October – 3rd November! 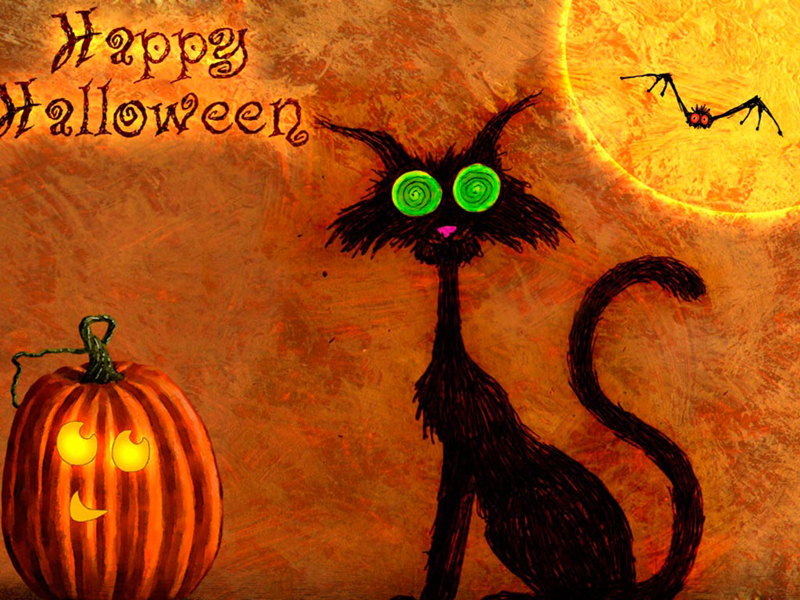 Halloween crafts, lantern parades, prizes for fancy dress plus lots more. Penrhyn Castle – 30th, 31st October Ghost tours of the castle by candlelight! Penrhyn Castle – 31st October – Batty fun day! This is not an exhaustive list but gives lots of ideas of places to go to suit different ages, tastes and pockets. Check out our accommodation late deals HERE. If you can’t see the dates or length of stay that you require please contact us as all availability isn’t shown on this page. Our email address is info@cadairviewlodge.co.uk or call us on our office number 01978 759603. We also welcome those who are looking to escape the knocks on the door! Quiet and peaceful location but we can’t rule out the odd owl or bump in the night. Categories: Family Break, Short Break, Uncategorized | Tags: #activities, #CadairViewLodge, #halfterm, #Halloween, #whatson, accommodation, Bodnant Food Centre, Bodnant Gardens, coed y brenin, Ffestiniog Railway, Greenwood Forest Park, King Arthur's Labyrinth, Llechwedd Slate Caverns, Llyn Padarn Railway, Penrhyn Castle, Snowdonia, Talyllyn Railway | Permalink.